Unlike Western Ghats, biodiversity of Eastern Ghats has received very little attention from researchers and conservationists. The lower taxa such as fishes are all the more neglected since several areas are yet to be explored. This study proposes to improve conservation status of threatened fish species of Eastern Ghats by filling this crucial knowledge gap and enhancing the capacity of local stakeholders. Study area lies in northern Eastern Ghats and includes a protected area ‘Papikonda National Park’. 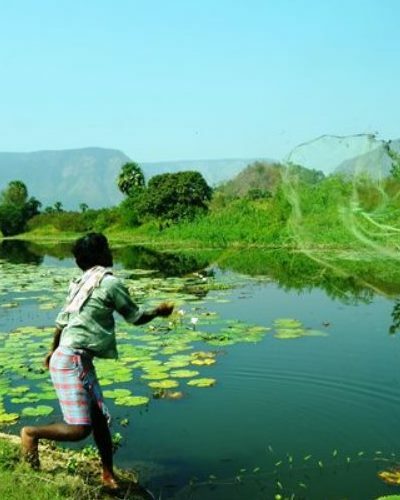 Large parts of this protected area are vulnerable to submergence by a multi-purpose project Polavaram Dam which also threatens its aquatic ecosystems, particularly the hill streams. Sampling for fishes in different streams and mark-recapture models will help in assessing the status of threatened species in the study area. Questionnaire surveys, awareness campaigns and a training programme will help in strengthening the capacity of the various stakeholders such as the Forest Department and local communities. Based on the field studies and meetings with the stakeholders, Fixed Aquatic Monitoring Stations will be set up and a Conservation Plan for Aquatic Ecosystems of Papikonda National Park will be developed.